Goodwin Park Golf Course in Hartford. The clubhouse at Goodwin Park Golf Course. 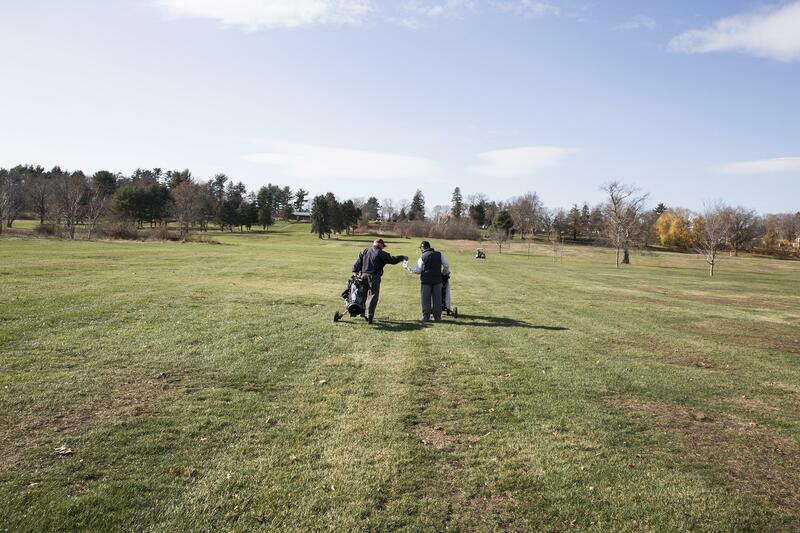 The long-time golfers of Goodwin have seen the course go through many phases. Beaky Gilbert's golfing partner Bill Schuberth tees off at Goodwin Park. There were a few years when the greens of Hartford’s Goodwin Park Golf Course were a dull shade of brown. The grass had faded, trees and weeds were overgrown, and several years of mismanagement and a poor economy left the course in such bad condition that it almost had to be closed. But Beaky Gilbert and his golfing partners didn’t stop playing there, and their dedication might have paid off. "The greens were bad and the tee boxes were just dirt. But the greens are nice now and the tee boxes are nice. They finally got a management company that did it right," Gilbert said, just before teeing off on a brisk November morning. Gilbert plays with his friends at Goodwin regularly for a few dollars and bragging rights for the week. They'll play until the course closes for winter mid-December, and Gilbert said he'll be wearing shorts until the end of the season, no matter how cold it gets. Gilbert is one of the many Hartford golfers who got his start playing golf there as a kid back in the 1950s and 1960s, hitchhiking or walking to the course from his home in the south end of the city. Gilbert shares a fondness for Goodwin with his friends -- part of it's nostalgia, but they said they also see the park as "picturesque." Over the past 60 years, the long-time golfers of Goodwin have seen the course go through many phases. The park's previous management contractor, now being sued by the city, let conditions at Goodwin and its sister golf course in Keney Park in the north end of the city decline to the point where a good portion of both courses were unplayable. But on that day, as the course was being prepped for winter, the putting greens were actually green again. Goodwin staff said it’s largely in part to a unique partnership where the city is working with the Connecticut Section PGA to restore and operate the park while partnering with the local nonprofit Knox, Inc. to train city residents to take jobs there. Michael Aux (left) and John Wright (right) walk the course. They've been playing golf at Goodwin for decades. 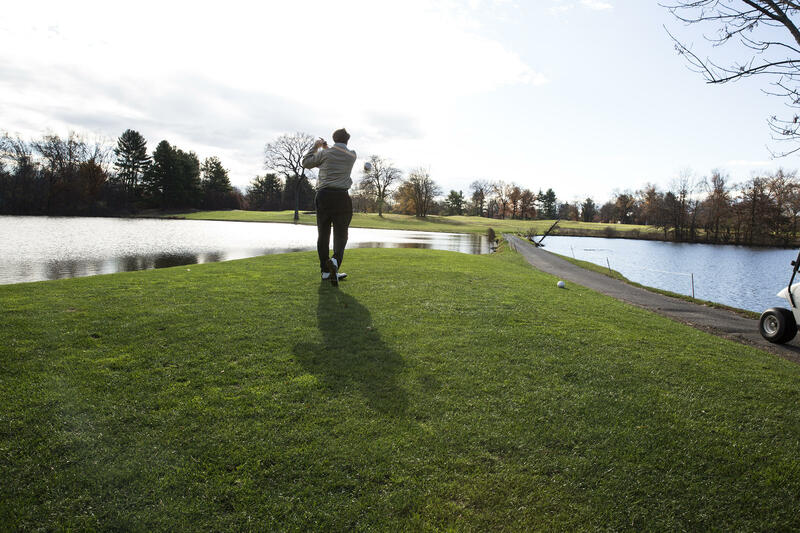 The Connecticut Section PGA is also helping manage the restoration of the Keney Park course, which will remain closed until the spring of 2016 while it undergoes a more intense rehabilitation. The putting greens at Goodwin Park Golf Course are actually green again. Goodwin's first nine holes were built by the city in 1906. Jim Goshdigian doesn’t go back that far -- he started playing here in 1954 -- but he was around for Goodwin’s glory days in the 1970s when he was the city’s golf professional. "In 1973, we were in Golf Magazine as the third most played golf course in the United States. We did 90,000 rounds of golf," Goshdigian said, sitting on a lawn chair outside the course's small clubhouse. "This was always known as a proving ground for young players who had ambitions to go elsewhere." Last year, there were 10,000 rounds of golf played at Goodwin. But Goshdigian said he thinks there will be an upswing now that the course conditions are better. "A lot of people left because conditions were bad. People are slowly coming back, and I foresee this golf course being like it was in the old days," he said. Goshdigian is now a golf instruction director and helps run a camp for city youth at the course in the summer. Michael Aux (left) and John Wright (right) play a round at Goodwin. 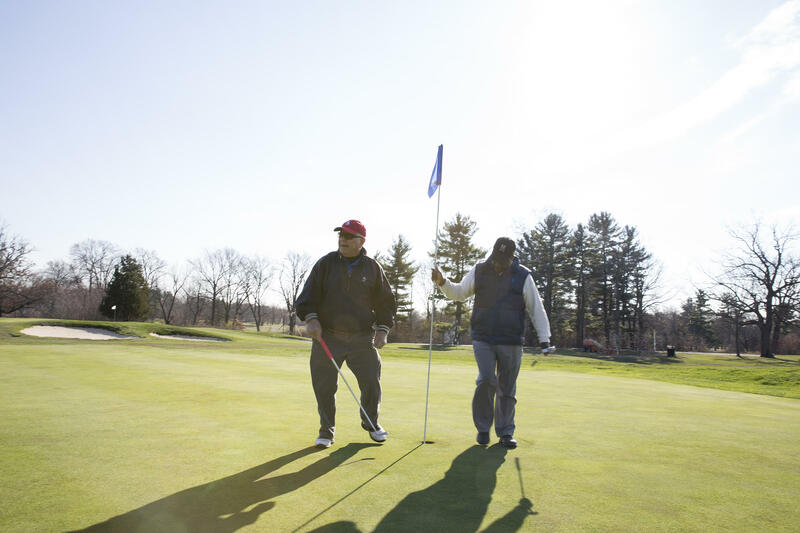 Patrick Aldrich, the Connecticut PGA consultant who helps the city manage its two courses, said it’s these programs that connect the park to the community -- an important aspect for a municipal golf course rebuilding its reputation. "In addition to introducing new people to the game, which is healthy long-term for the industry, because players that learn to play golf here will eventually go off the play other places as well, there’s lots of things in golf that are good life lessons," Aldrich said. Ron Pitz is the executive director of Knox, Inc. the nonprofit that’s been giving city residents specialized training in golf course maintenance. He said the partnership with Goodwin is a good investment for the city. 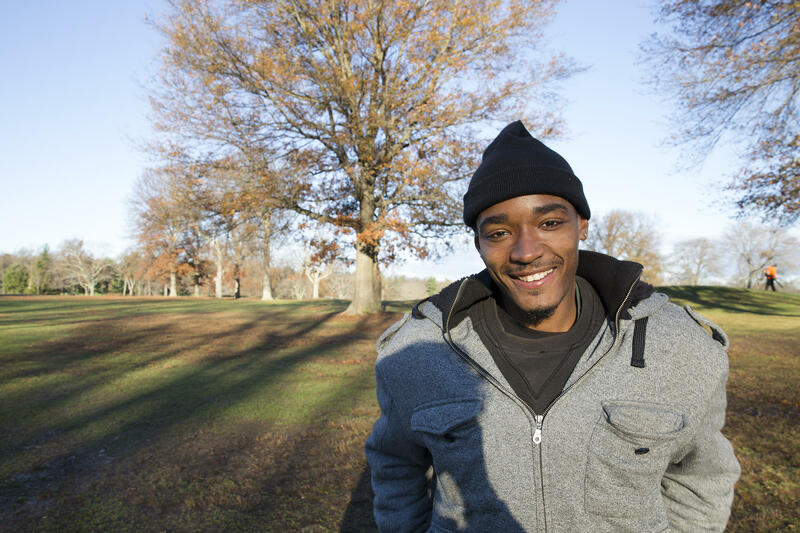 "Before we had this situation where we could just put [our trainees] to work at the golf courses, many would get work outside the city -- and that’s fine, employment is employment. But it’s great to keep them in the city, they become taxpaying citizens, voters, and they’ll patronize city businesses," Pitz said. Hartford resident and Goodwin employee Paul Godwin didn’t have experience in landscaping until his was accepted into the Knox training program. Now, he’s a maintenance supervisor on the course. "It was a pivotal point of my life where I needed to turn my life around. Knox gave me a chance. I’ve been good ever since. I haven’t been incarcerated in over four years -- no police contact, no probation, no nothing since I’ve been with Knox and Goodwin," Godwin said. Paul Godwin, the field maintenance supervisor at Goodwin, who was trained in the Knox program. Paul Godwin clears leaves from the course. 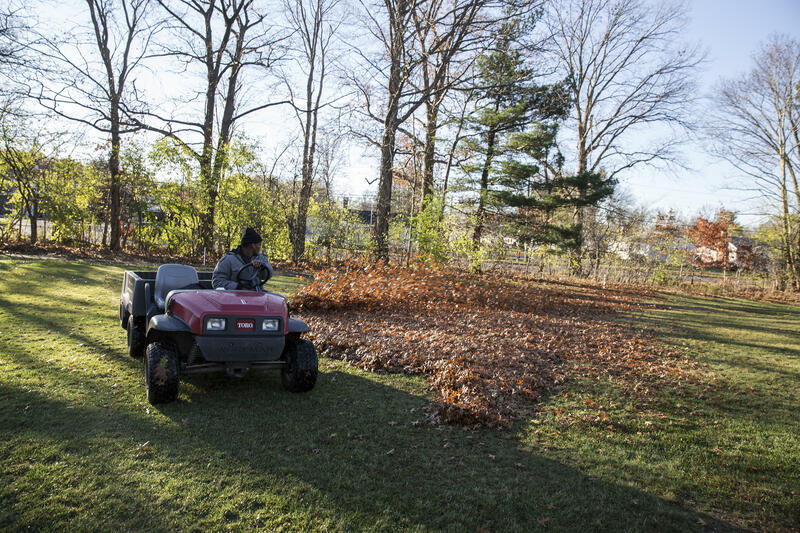 Two weeks into November, Godwin and his crew were working on clearing the course of leaves before the golfers teed off later in the morning. Godwin said he’s never played before, but he’s interested, and Goodwin is more accessible to learn the game than any of the private courses in the area. “You feel like it’s too professional, you’re intimidated. This is not that. You’ll see guys that I think I could probably hit further than -- they’ll be here with confidence,” he said. This year marks the centennial of the last long log drives on the Connecticut River. 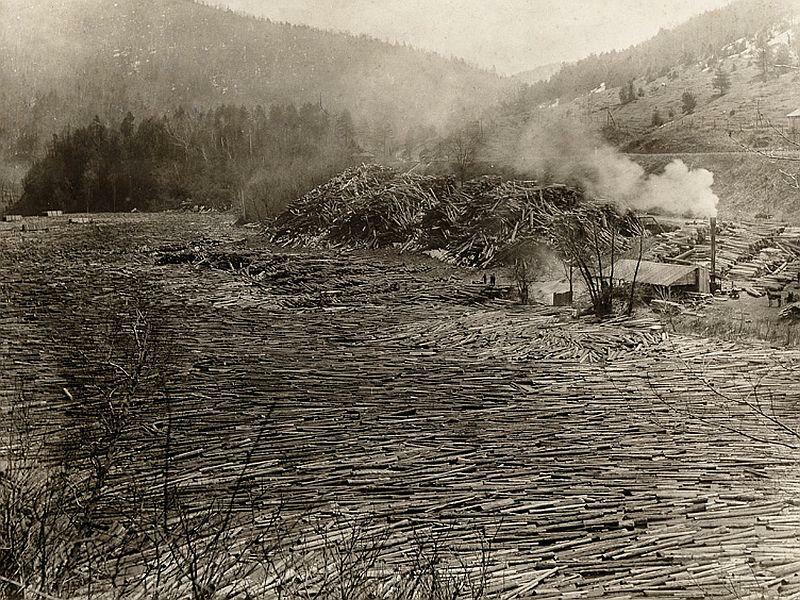 From the late 1800s and early 1900s, logs as big as 30 feet long were floated down the river to sawmills in Massachusetts and Connecticut. Now two Vermonters are keeping the history alive, chronicling the history of the drives. As climate change negotiations in Paris continue, another weather event is coming to the fore in Connecticut. The state is currently in the midst of a "moderate drought." When construction of I-84 viaduct in the 1960s plowed through neighborhoods and historic landmarks in Hartford, a modest brick building in the West End of the city was spared. The city of Hartford loses a few hundred trees each year. But now, in a partnership with a local non-profit, the city is poised to plant 1,000 new trees this fall. The goal is to plant 20,000 trees over the next ten years. It's an ambitious program that began last year with the first 1,000 trees planted. Now, the city wants to spend $425,000 to keep things going.